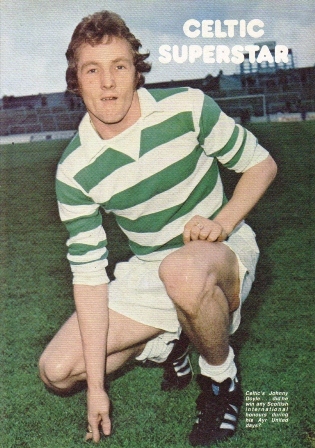 Perhaps Stein liked Callaghan because he was a naturally fit individual who lived his life properly and by all accounts had a great attitude in training, which you can imagine, set a fine example to the young ‘Quality Street’ kids like McGrain, Macari and Dalglish who were breaking through in the early 70’s. He was also a very consistent performer which was another trait which would have attracted Stein to him. A good number of years ago I had the pleasure of being in Tom’s company on a few occasions and his love of Celtic and his enjoyment of playing in the hoops always shone through. He explained that his transfer from Dunfermline in 1968 was not a smooth one and he went on to explain that Stein was a master at such situations and used the press to his advantage. If I recall rightly the journalist Jim Rodger was Stein’s conductor in this transfer and many others. 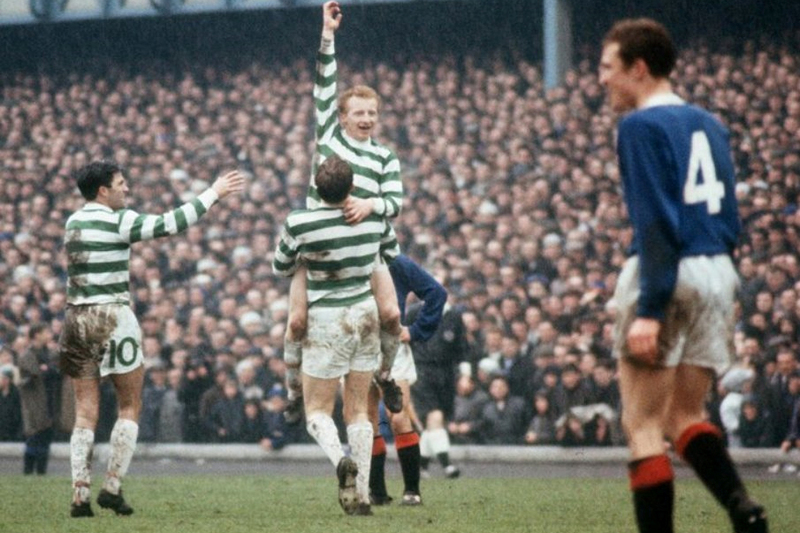 Tommy enjoyed his reminiscing of his time at Parkhead and cited the 1971 and 1972 Scottish Cup finals as his favourite games, both games in which he excelled in. It has to be said that Tommy Callaghan was not always appreciated by a section of the Celtic support. As a boy I was horrified at the abuse that Tom and certain others endured from their own fans and there is one certain game against Ayr that the incomparable Kenny Dalglish even suffered terrible stick from his own fans. So Tommy was not alone in that respect. Callaghan was not a noted tackler and this was seen as a major flaw in the eyes of some, however Stein always maintained that it was more difficult to create than to destroy which is why there was always a place in his Celtic side for a Callaghan, a Hood or a Gallagher, none of them noted tacklers. Tommy was not a notable goal scorer but there are three goals that are worth recalling from his Celtic days. Firstly there was a glorious goal he scored at Ibrox in August 1971 when he cut in from the left and struck a tremendous drive past Peter McCloy on the day when Celtic absolutely destroyed their greatest rivals by three goals to nil much to the delight of the thousands of Celts inside the ground who watched in amusement as the blue hordes on their terraces departed Ibrox long before the finish. The Second goal was an important winner in the 1972 League Cup semi final against Aberdeen at Hampden when the League Cup was still a decent trophy to win. On a night of vile weather, in the days when Hampden offered very little shelter to the elements, the game was perilously balanced at 2-2 when Tommy accepted a pass from Harry Hood and cracked home a fantastic winning goal. It’s an amazing record to consider that from 1964-1978 Celtic competed in 14 consecutive League Cup finals although a success ratio in those finals of 6:8 wasn’t great. The third goal was against Basle in the quarter final of the European Cup in 1974. Again the game was poised at 2-2 when Tommy was loitering at the back post. When Jimmy Johnstone’s wayward cross found him he controlled it on his chest and, showing great poise and calmness, he blasted the ball home. This gave Celtic a 3-2 lead on the night (5-5 on aggregate) and took the game to extra time with Celtic ultimately winning 4-2. There was no happy ending after this one as Celtic went out to the disgraceful animals of Atletico Madrid in the semi finals. Although rarely mentioned in the same bracket as the more popular Celts of the period such as Jinky, Dalglish and Deans, Tommy Callaghan deserves to be remembered for his contribution to what was the greatest period in the club’s history. He was a marvellously consistent player who used his great energy, stamina and elegant style to good use in the Celtic midfield area. In the autumn of 1972 the great Hungarian player Ferenc Bene raved about Tommy’s display after a European Cup game against Ujpest Dosza and at this time there was a calling in the media for Tommy to be given a Scotland cap but sadly an international call up never came even at a time when more mediocre players, especially Anglos, were getting Scotland call ups. 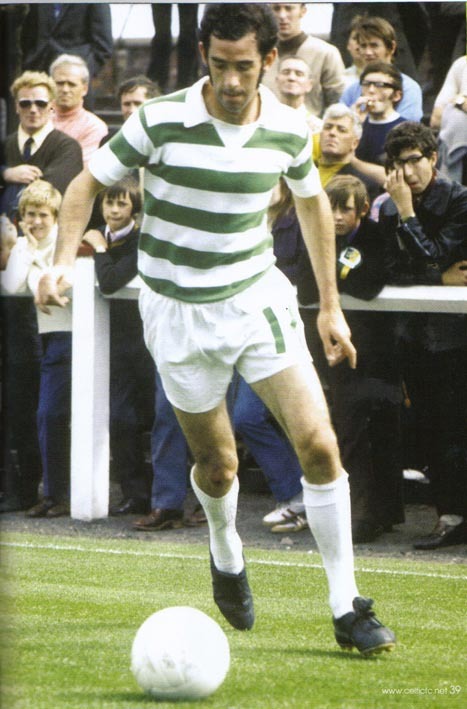 Although playing for Celtic would not have made Tommy Callaghan a wealthy man he has a medal haul to die for and an abundance of richness of memories of playing in Stein’s wonderful Celtic teams, proof that his efforts were handsomely rewarded. Tommy can be still be seen at Parkhead on match days assisting with corporate hospitality and it’s good to see players from that era getting recognition after their efforts and endeavours during a golden spell in Celtic’s history. Tommy Callaghan knows what it takes to be a Celt and will be remembered as a great Celtic player.